Can a personal injury claim include compensation for disfigurement? Disfigurement from a car accident is a life-changing reminder of the trauma you've suffered. If your injuries are the result of another person's negligence, you are entitled to compensation for your medical expenses, lost wages, and pain and suffering. 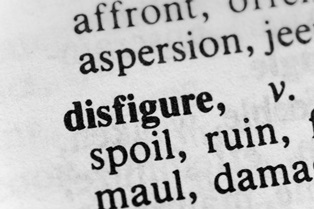 Disfigurement can occur on any part of the body. However, facial disfigurement is considered the most serious because this type of injury can't easily be concealed. Keeping copies of all invoices and bills related to your treatment can make sure you're properly compensated for these expenses. Someone who has suffered disfiguring injuries in a car accident can expect a lengthy recovery process. This will likely involve taking time off work for doctor's appointments, surgery, and healing. All time missed from work due to your accident-related injuries can be included in your settlement. Disfigurement isn't something you'd normally expect to factor into your future earning potential, but it may be a factor if you're employed in a position that relies on maintaining a specific appearance. For example, models, actresses, news anchors, and entertainers must often meet specific physical requirements to succeed in their professions. However, even less prestigious positions that involve a great deal of public contact could be affected by disfigurement. If you believe your injuries will affect your ability to earn a living in the future, your attorney can find an expert witness to estimate the appropriate compensation. Vocational experts can testify as to what types of positions would be available given your skills, education, and the local labor market, while economic loss experts can testify as to the value of lost wages and employer-provided benefits over time. Pain and suffering in a personal injury claim refers to both physical pain and emotional trauma. In a case involving disfiguring injuries, it's common for victims to experience depression, anxiety, PTSD, and other mental health symptoms as the result of how their appearance has permanently changed. Teenagers and young adults may be especially vulnerable to mental health complications related to disfigurement, since this is the time when self-esteem and a sense of self are being formed. If you are seeing a therapist as the result of the accident, she can provide insight into the pain and suffering you have experienced. You should also keep a journal documenting your feelings and how your injuries have affected your everyday life. These observations often prove valuable as a negotiating tool. Taking photos of your injuries as they heal over time can also be useful as supporting evidence for your case. Since it can take many months to reach a settlement in a personal injury claim, it can be difficult for the court to imagine what your injuries looked like immediately after the accident. Most personal injury claims are settled out of court, but it's still in your best interest to retain an attorney. The at-fault driver's insurance company will have a team of attorneys working to protect its financial interests and will be reluctant to provide the compensation you deserve.